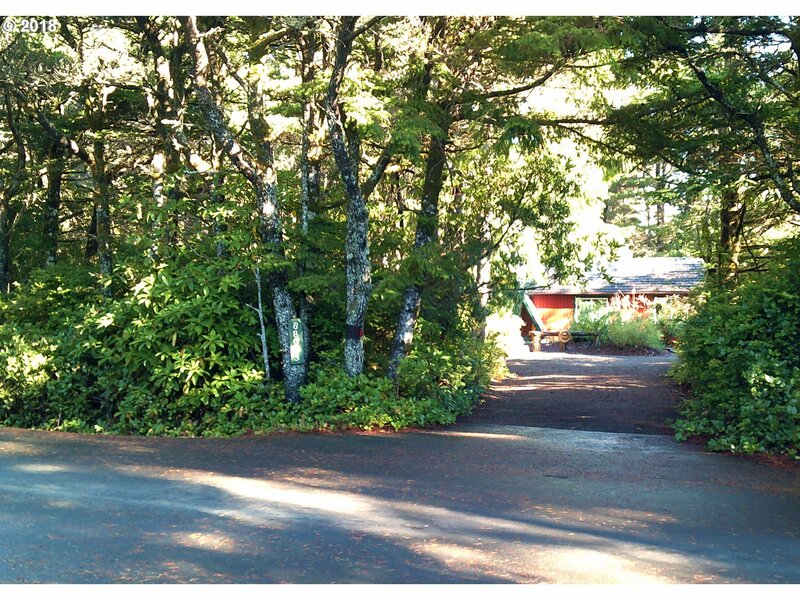 Thoughtfully cared for A-frame home, desirable location in Ocean Woodlands area. New cedar shake roof and fresh paint. Inside is a cozy bedroom loft, bright and airy kitchen and sunken living room w/ propane fireplace. Skylights and solar tubes brighten up the space throughout. Out buildings allow for private entry to an office, studio or quiet sitting room. Back deck provides another peaceful space to listen to the ocean waves.